James Ehnes, photographed by Benjamin Ealovega in 2012. 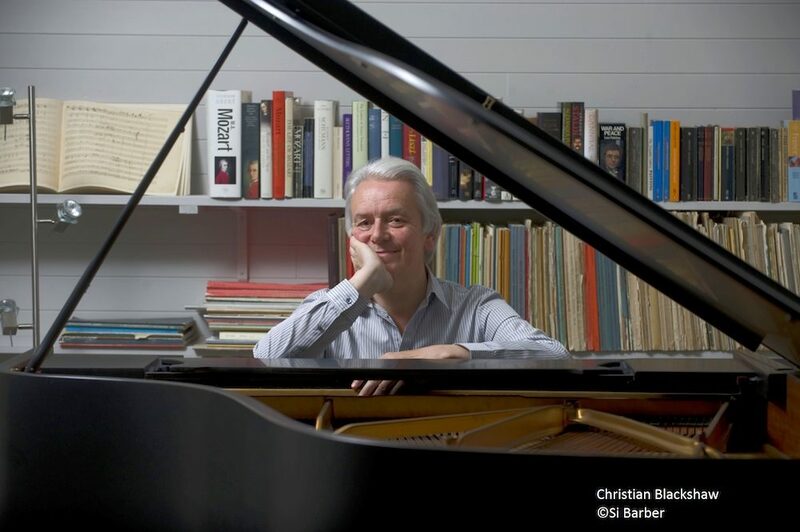 The career of British pianist Christian Blackshaw is a most unusual one. Following studies at Royal Northern College of Music, the Royal Academy of Music, the St. Petersburg Conservatory and private work with his pianistic hero, the legendary Clifford Curzon, Blackshaw embarked on the concert circuit only to stop abruptly in 1990, partly due to the death of his wife from cancer, but also because of a reluctance to continue performing at any level short of the Platonic ideal he had set himself. (“A perfectionist with a reverence for the composer that verges on the crippling,” is how one critic described him.) Blackshaw made a remarkable comeback a few years ago, performing Mozart’s sonatas in London’s Wigmore Hall to tremendous critical acclaim. A supreme control of dynamics, great emotional depth, and a “singing soul” marked these performances. His recordings of this repertory have been described as “captivating,” “magical,” and “masterful.” The Guardian remarked that on the basis of the first two volumes, “if Blackshaw retired tomorrow he’d never be forgotten.” Volume 4 was named one of the Best Classical Recordings of 2015 in the New York Times, and Gramophone magazine named it one of the Top 50 Greatest Mozart Recordings. During the 2018-2019 season Blackshaw served as Artist in Residence at Wigmore Hall in London. 2nd LMMC recital. Maturity, sincerity, finesse and intelligence are the words that come to mind when hearing the Quatuor Hermès. The great pianist Alfred Brendel called the ensemble “one of the finest promising young quartets” he has heard. It has been awarded first prizes, among others, at the Lyon Inter-national Competition (2009), the Geneva Competition (2011) and the Young Concert Artist Auditions in New York (2012), following which the quartet was invited to make debut appearances at the Kennedy Center in Washington, D.C. and Carnegie Hall. The French foursome joined forces as students at the Conservatoire National Supérieur de Musique de Lyon in 2008. In 2012 their first disc appeared – music of Haydn and Beethoven. Subsequently they recorded the three quartets of Schumann, which has been highly praised in The Strad, France musique, and CHOC among others Among the prestigious venues where they have performed are the Lockenhaus Festival, the Orangerie de Sceaux, Festival Radio France Montpellier, and the Crescendo Festival in Berlin. The four musicians were Artists in Residence at the Queen Elisabeth Music Chapel from 2012 to 2016. 2nd LMMC engagement. French cellist Victor Julien-Laferrière has racked up an impressive roster of prizes in his still-young career: first-prize winner of the Queen Elisabeth Competition in 2017, first-prize winner of the Prague Spring International Competition 2012, prize of the Safran Foundation for Music in 2013, and Soloist of the Year nomination at the 2018 Victoires de la Musique classique on French National TV, among others. From 2005 to 2011, Julien-Laferrière took part in the International Music Academy-Switzerland of Seiji Ozawa. His first sonata recording (Debussy, Franck, Brahms) was released in 2016 on the Mirare label and won high praise from the critical press, including a Diapason d’Or, CHOC from Classica, ffff from Télérama and Editors’ Choice from France Musique. Julien-Laferrière is a member of the Trio Les Esprits, with violinist Mi-sa Yang and pianist Adam Laloum; the Trio recently signed an exclusive contract with Sony Classical. First LMMC appearance. Now in its 45th concert season, the American String Quartet (ASQ) has long been one of the world’s most esteemed ensembles of its kind. Formed in 1974 when its original members were students at the Juilliard School, the ASQ was launched by winning both the Coleman Competition and the Naumburg Chamber Music Award in the same year. Innovative programming and a creative approach to education has resulted in notable residencies including at the Aspen Music Festival in Colorado (1974 to the present) and the Manhattan School of Music (1984 to the present). It has also served as resident quartet at the Taos School of Music, the Peabody Conservatory and the Van Cliburn International Piano Competition. The ASQ is known both for its presentations of the complete quartets of Mozart, Beethoven, Schubert, Bartók and Schoenberg, as well as champions of new music. The Quartet has commissioned and premiered works by leading composers like Claus Adam, Richard Danielpour, Tobias Picker and George Tsontakis. One of its most outstanding accomplishments is the recording of the complete Mozart string quartets on a matched set of Stradivarius instruments, widely held to be the standard bearer for this repertory. The ASQ also ventures into unconventional territory, as it did in July 2012,when it collaborated with the composer Mohammed Fairouz, clarinetist David Krakauer and the Indian dancer and Bollywood star Shakti Mohan for a performance of Fairouz’ Hindustani Dabkeh for BBC World News. Cynthia Phelps, principal violist of the New York Philharmonic, joins the Quartet for the performance of Mozart, Mendelssohn and Brahms string quintets. First appearance in this formation. Combining integrity with elegance and focus with panache, Hyeyoon Park is an artist of outstanding style and virtuosity. Born in Seoul, she studied at the junior colleges of the Korean National University of Arts and of the University of Cincinnati. She also studied at the Hochschule für Musik “Hanns Eisler” in Berlin and with Christian Tetzlaff at the Kronberg Academy, where she completed her Master’s degree in 2016. Since making her orchestral debut at the age of nine with the Seoul Philharmonic, she has achieved international acclaim playing with major orchestras around the world. “Her technique and command over the instrument are breath-taking, her playing being fully devoted to the music,” raved the Neue Westfälische. Hyeyoon Park was the youngest winner ever of the ARD International Music Competition in Munich at seventeen in 2009. Two years later she received a Borletti-Buitoni Trust Award, and a year after that the London Music Masters Award. Park’s partner in this LMMC recital is British pianist Benjamin Grosvenor, described by The Independent as “ one in a million”. He is internationally recognized for his electrifying performances, distinctive sound and insightful interpretations. LMMC debut. Canadian violinist Martin Beaver, British cellist Clive Greensmith and Canadian pianist Jon Kimura Parker came together as a trio in 2013. Two years later, the Washington Post declared that the ensemble was “poised to become one of the top piano trios in the world.” Individually each is an accomplished soloist with an impressive career to his credit. Together they offer the world a special musical experience. As one of Canada’s leading ambassadors of music, Parker has given command performances for Queen Elizabeth II, the United States’ Supreme Court and the Prime Ministers of Canada and Japan. He is an Officer of the Order of Canada, his country’s highest civilian honour. Martin Beaver and Clive Greensmith are both former members of the renowned Tokyo String Quartet. During its 43-year history, this quartet collaborated with a remarkable array of composers and artists, including Jon Kimura Parker. As a soloist, Beaver has appeared with dozens of orchestras worldwide, including the Montreal Symphony. He was a top prize-winner at the international violin competitions in Indianapolis, Montreal and won a silver medal at the Queen Elisabeth Competition in Belgium. Clive Greensmith was principal cellist of London’s Royal Philharmonic Orchestra before setting out on a career as soloist and chamber musician. 3rd LMMC performance. Since winning the Paolo Borciani competition in Italy in 2005, the Pavel Haas Quartet, formed in 2002, has established itself as one of the great chamber ensembles of today, performing in the world’s most prestigious concert halls and recording regularly on the Supraphon label. Several of these releases have won awards. In 2014 the Quartet notched up its third Gramophone Award, this one for its recordings of Schubert’s great Death and the Maiden Quartet and String Quintet. This won Record of the Year in the chamber music category. A previous recording, of Dvořák quartets, also won Gramophone’s Record of the Year award. “Their account of [Dvořák’s] American Quartet belongs alongside the greatest performances on disc. In this repertory they are simply matchless today,” wrote London’s Sunday Times. The Pavel Haas Quartet has held residencies at the Cologne Philharmonie, Birmingham Town Hall, the Prague Spring Festival, and Glasgow Royal Concert Halls. 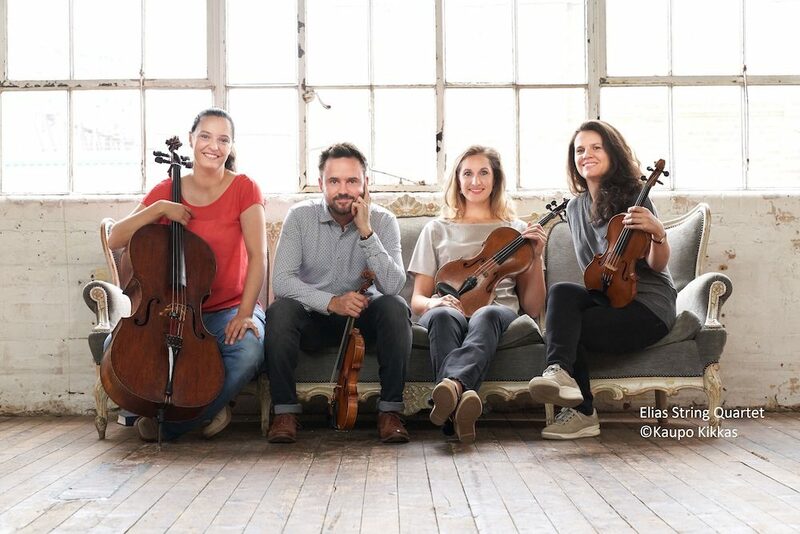 Based in Prague, the Quartet takes its name from the Czech composer who was imprisoned at Theresienstadt in 1941 and tragically died at Auschwitz three years later. LMMC return engagement. Prize-winning Israeli pianist (2011 2nd place winner Arthur Rubinstein, 2013 winner Queen Elisabeth Competitions) joins the Quartet for the performance of Dvořák’s piano quintet Opus 81. Since becoming Prize Laureate at the Honens International Piano Competition in 2012, Pavel Kolesnikov has performed extensively around the world as soloist with orchestras, in chamber music, and in recitals. Among other venues where he has performed are Zankel Hall at Carnegie Hall, Berlin’s Konzerthaus, London’s Wigmore Hall, Melbourne Recital Centre, Tokyo’s Saitama Theater and the Louvre Auditorium in Paris. Following his Wigmore Hall debut in January 2014, The Daily Telegraph gave Kolesnikov’s recital a rare five-star review. BBC Magazine wrote of his Honens prize-winning performances, which he played with “tremendous clarity, unfailing musicality and considerable beauty.” Kolesnikov’s debut recording, a Tchaikovsky program including The Seasons, was released in 2014. This was followed by a selection of Chopin mazurkas in 2016, which won a Diapason d’Or award. Two more CDs followed in 2018, one of works by Couperin, one by Beethoven. Born in Novosibirsk, Russia, Kolesnikov now lives in London. He believes strongly in the cross-fertilization of the arts, and holds strong interests in painting, photography, and fashion. He is also renowned for his collection of fine perfumes, some of which date back nearly a century. First LMMC appearance. “Playing of phenomenal control allied to musicianship of the highest order,” declared The Times of London about violinist James Ehnes. He has performed in over thirty countries on five continents, appearing regularly in the world’s great concert halls with many of the most celebrated orchestras. His extensive discography includes over forty recordings of music from Bach to Adams. 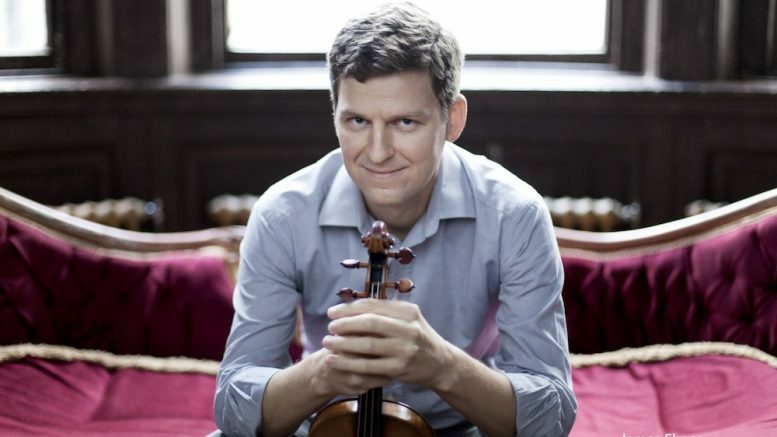 As an avid chamber musician, Ehnes tours with his string quartet, the Ehnes Quartet, and leads the winter and summer festivals of the Seattle Chamber Music Society, where he is Artistic Director. His many awards and prizes include the first-ever Ivan Galamian Memorial Award and the Virginia Parker Prize from the Canada Council for the Arts. In 2007 he became the youngest person ever elected as a Fellow to the Royal Society of Canada. In 2010 the Governor General of Canada appointed Ehnes a Member of the Order of Canada, in 2013 he was named an Honorary Member of the Royal Academy of Music, and in 2017, he was awarded the Royal Philharmonic Society Award in the Instrumentalist category. In 2016, Ehnes undertook a cross-Canada recital tour, performing in each of the country’s provinces and territories to celebrate his 40th birthday. Born in Brandon, Manitoba, Ehnes began studying his instrument at the age of four, and at thirteen had already made his professional orchestral debut with the Montreal Symphony. He plays the 1715 “Marsick” Stradivarius. 7th LMMC appearance. Be the first to comment on "LMMC presents its 128th season"